With their hummable tunes and engaging characters, Mozart’s operas are often viewed as a suitable ‘way in’ to the art form for a first timer looking to dip their toe in the operatic waters. Following 13 years of performances with The Royal Opera, however, conductor Semyon Bychkov is well used to life at the deep end. While he’s no stranger to conducting Mozart’s symphonic works and concertos, the operas have been absent from his repertory – until now, as he returns to Covent Garden to conduct his first Mozart opera: Così fan tutte. While attempts to repackage classic works for a ‘modern audience’ risk being met with rolled eyes, Bychkov is clear: it’s not just The Royal Opera’s production that brings the 1790 opera up to date. Rather, the themes and subject matter are more universal now than they were at the opera’s premiere. ‘Today I think we relate to it very differently from those who grew up in the time of Mozart, because the world has evolved’, he says. True, Jan Philipp Gloger’s production plays with the language of the title, transforming the Italian tutte, the feminine ending tarring ‘all women’ with the same brush through the use of a single letter E, into tutti: everyone, regardless of gender. The characters, for a 2016 audience at least, make a point: we’re all as bad as each other. Perhaps not the cheeriest of realizations for those who don’t enjoy their evenings at the opera served with a side of forced introspection. At least it’s a real drama with a five-star soundtrack: for lovers of a good tune, the score certainly delivers hit after hit, including ‘Come scoglio’, ‘Tradito, schernito’ and ‘È amore un ladroncello’. But much like the plot, Bychkov explains, there’s an undercurrent of uncertainty throughout the music. 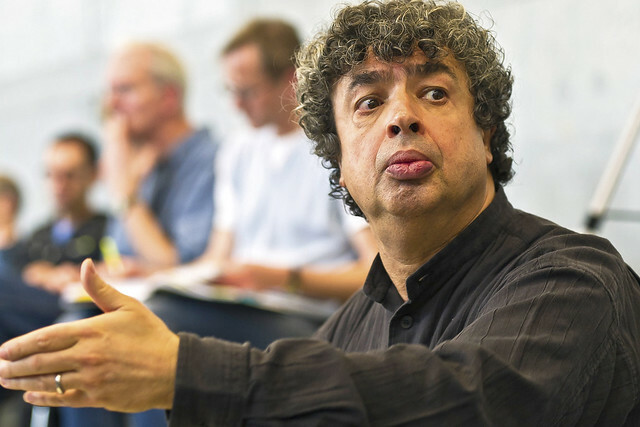 ‘The music is constantly changeable’, Bychkov explains. ‘You always have an expectation to find yourself in a particular tonality and a lot of the time your expectation is betrayed. This is the genius of Mozart because Mozart cannot be predicted. Behind these extraordinary melodies, he’s able to write this unbelievable complexity. Suddenly it’s not clear if Bychkov is discussing untapped musical possibilities, or the sheer number of options we have when searching for a partner. Or, indeed, both. At least there are a number of operatic highlights to keep us entertained as we question our life choices from the stalls – aren’t there? Così fan tutte will be broadcast live to cinemas around the world on 17 October 2016. Find your nearest cinema and sign up to our mailing list. Forgive me; I am not commenting on the article in particular - I'm not well up with social media, etc. to make known my views. Instead, I wish simply to say that I thought the performance broadcast to cinemas on the 17 October was brilliant, brilliant, brilliant.Thank you for a wonderful evening; a superb cast; glorious singing; passion; energy kept up throughout; the love of the music pouring out from the singers was inspirational. Thank you again.